Editor’s Note: Robby Heisner of Smyrna, Georgia (www.facebook.com/rheisner), has been a magician, a guitarist, a songwriter, a band leader, a performer, a lighting specialist, a video producer, a video editor and a radio disc jockey. A very creative person, Heisner switches professions when his interests and/or his body changes due to his disability, and when he decides he can do something better than someone else. Heisner’s company today is Van Gogh, Inc.
Today, I’m working with Jenni Gold, the producer and director of Gold Pictures, out on the West Coast, who also uses a wheelchair. Jenni, discovered our band (Van Gogh) and asked if we could provide music for a movie she was doing similar to “Mission Impossible.” But the main character was a female in a wheelchair. Van Gogh later worked on different projects with Jenni, with the latest being a 29-part power wheelchair comparison web video for the Christopher and Dana Reeve Foundation. These videos showed what the top 10 power wheelchairs could do. Jenni’s company shot the main part of the video, and I did the editing and uploaded the videos. I’ve been in a wheelchair since 1987 and received my first power chair in 1992. My power chair was almost 20 years old, and after we did the comparison videos, I got one of the new power chairs. This chair is comfortable and will climb, tilt me, elevate me to be eye to eye with people and place me in a reclining position. My brother, Ricky, was about 9, and I was about 8 when the symptoms of our muscular dystrophy MD, were diagnosed. Someone at a ballpark noticed Ricky’s mannerisms when he was getting up after he’d fallen down playing football. The doctors discovered that Ricky did have MD, suggested that the rest of the family be tested and discovered I also had MD. I was born in 1963. In the early 1970s, I was riding bikes, running, playing ball, fishing and swimming every day in Panama City, Florida – a resort town on the Gulf of Mexico. However, in my teenage years, physical activities became more difficult due to my MD. Each day I’d ride my bike down to St. Andrews Marina where all the fishing boats docked to look at the caught fish. But I’d only get about halfway home and then have to push my bike. Riding my bike became more difficult. I convinced my sisters to sit on the bicycle with me. One would pedal, and I’d steer. After seeing magic shows on television, I met a policeman who was a magician and who took me under his wing, mentoring me and helping me grow my magic business. In the sixth grade, I did magic shows to make money. I’d make people float in the air (levitate), and I’d cut people in half – sometimes making $500. I loved being a magician. I worked out a deal with my school that allowed me to miss school to go to other schools and put on magic shows. I’d also do shows at city festivals and put curtains up in my backyard and charged neighbors to watch my shows for about 5 years. But my arms got weaker due to my condition, and pouring a pitcher of milk into a paper bag and making it disappear became really difficult. By the time I was 18, I’d been bitten by the Beatles bug and learned how to play a guitar. Ricky wrote lyrics, and I wrote the music. In 1979, we put a band together. Ricky played bass and sang, my younger brother, Jamey, played the drums, I played guitar and sang, and we had a cousin who played guitar. We were a rock band influenced by the band Cheap Trick. At first, we played other people’s music. But within a year, we started playing the music that we wrote. In 1982, we moved the band into an old recording studio that had gone out of business in Panama City. We performed there and lived in the building. Every weekend on Fridays and Saturdays, we’d put on concerts, charging $5 per person, for about 200 people. We’d lock the doors, begin playing at 9:00 pm and play until about midnight. We became “The Place” for young people to come and hangout. We developed a huge following. We wanted to play some of the clubs around Panama City on the Upper Gulf Coast but weren’t old enough to get into the clubs. So, we did concerts on football fields and baseball fields and even opened for Joe English, the ex-drummer for the Beatles in the 1980s. The name of our band was KOPPS. My mother came up with that name, because then like now, many cops were being killed. We didn’t want to be anti-establishment like so many bands were. We thought cops were cool, particularly their leather jackets and leather boots. We had badges and uniforms and used police lights and sirens on stage. We had the patches embroidered with Office of Music Jacksonville KOPPS, and wore police uniforms for our shows. After about 4 or 5 years of playing gigs in Florida, we’d put out a couple of records. We had some radio plays, and we had merchandising like t-shirts and other merchandise at our concerts. In 1984 when I was 21, we moved the band to Atlanta. We had cars, equipment, amps and merchandise. As long as we had enough money to pay our bills, we didn’t care about money. We always found ways to spend our extra money. However, sometimes we couldn’t afford a Wendy’s hamburger. In Atlanta, we went to the clubs and listened to the bands, which were far superior to us. We knew we needed to get our act together before playing in some of those big city clubs. We changed our name from KOPPS to Blitz. We spent all the next year rehearsing and working hard to make our band better. We replaced some guys and added some new members to our band. My brother, Ricky, quit playing with the band, but he kept writing lyrics, and I’d write the music. Our new sound was more of a hard rock band sound. We sold out the Cobb County Civic Center and the Roxy Theater in Atlanta, were the main act at the Atlanta Arts Festival for a couple of years, were featured at FirstNight Atlanta – a big New Year’s Eve party and played the first couple of years of Dragoncon. The Blitz band did well. Ricky came to my house, we started writing music and doing demo tapes, and we decided to put out a record with a studio band. At the same time, we were shooting a video of one of the songs to promote the record. We shot the first video at the Shepherd Center in Atlanta. Ricky and I both were in wheelchairs, and I had to lean on a tall chair to play my guitar because of my MD. I could walk some but was nervous about falling. I’d helped produce some videos for the Shepherd Center, and the band had played concerts there. So, the center let us use the auditorium to shoot this video for our new record. Someone was in the auditorium watching and listening to us shoot this music video and came up and said, “What would get your band to play at our conference?” Remember, at this time, we really didn’t have a band. We had studio musicians, my brother and me. When I answered the questions, I never thought this person would pay that kind of money for our band, which we didn’t have. The person then asked, “Okay, what else?” I explained that we didn’t play but for one hour. I didn’t tell the person that we only had written enough songs to play for one hour. We got the job, and I immediately put out the call and started hiring musicians for my new band (Van Gogh) that no one ever had heard previously. The musicians learned the songs, and the practices went well. I asked my brother Ricky if he’d come and play with the new band, and he did. On the night of the gig, Ricky and I both rolled out in wheelchairs. The Van Gogh band played from 1991 until 2002. We averaged traveling more than 50,000 miles per summer, playing at different venues. We played at every major disability event, including the Abilities Expos. In 1996 when the Olympics came to Atlanta, the Abilities Expo was in Atlanta at the same time and wanted Ricky and me to sing live. The Expo set us up on a small stage right where people checked into the Abilities Expo. While we played and sang, a traffic jam of people formed. The Expo gave us a booth where we then performed. We did an endorsement deal with Invacare, and were featured in national print ads twice. Invacare had us signing autographs at its booth at the Expo, but the crowd was so big they gave us a bigger area. Next the Abilities Expo asked Ricky and me to appear at all their events. Invacare handled the negotiations for us, and we got a good contract. Ricky and I played our music and appeared at all the Abilities Expos, doing one show on Friday, two on Saturday and one on Sunday. We were featured on several covers of disability magazines, we made five CDs and sold them, and we did the music for Gold Pictures’ movies. By the end of the 90s, we had run our course with the Abilities Expos. Invacare would send every hotel where Ricky and I stayed while touring brand new shower stools for us to use. Then Invacare gave those shower stools to the hotel, so, other guests could use them. Ricky and I always were concerned about giving back to people with disabilities. Ricky and I kept touring. In 2001 when 9/11 happened, we had to fly to a gig to San Francisco 2 days after the planes crashed into the Twin Towers of the World Trade Center. We were nervous and didn’t want to go. However, we’d signed a contract. Later our host invited us to spend the night and sail with him and some friends around San Francisco Bay. While sailing, I got the idea that I didn’t want to do all this traveling and singing anymore. I was burned out on music. I decided I’d take a year off from touring. However, I never returned to music, and Ricky and I never wrote another song. I started a lighting company. All the lighting cases that we used for our lights said Van Gogh. Eventually I incorporated the name Van Gogh, and anything I do today falls under that company. Once we were doing lighting on a music video, and I told my partner, Michelle, who’s been with me for 26 years, “We can shoot better video than that.” We bought a broadcast quality camera and an Apple computer with a video suite. I told Michelle, “You learn to shoot the camera, and I’ll do the editing.” Within 30 days after we bought our equipment, the people who had hired us to do the lighting for their videos also hired us to shoot and edit their videos. That business really took off, and that’s what we do today. We’ve done everything from Toyota commercials to van videos. QMST1 from Robby Heisner on Vimeo. Go to https://vimeo.com/172655176 to see more samples of his video work. 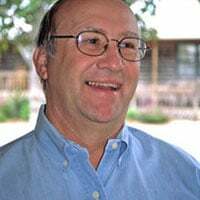 John E. Phillips For the last 12 years, John E. Phillips of Vestavia, Alabama, has been a professional blogger for major companies, corporations and tourism associations throughout the nation. During his 24 years as Outdoor Editor for “The Birmingham Post-Herald” newspaper, he published more than 7,000 newspaper columns and sold more than 100,000 of his photos to newspapers, magazines and internet sites. He also hosted a radio show that was syndicated at 27 radio stations; created, wrote and sold a syndicated newspaper column that ran in 38 newspapers for more than a decade; and wrote and sold more than 30 books. Learn more at www.johninthewild.com.